I've recently read inhabitants of St. John's, Newfoundland and Labrador, Canada complaining about its boring flag; you can find one example here. St. John's was the first British settlement in America, so it deserves (which doesn't?) something better than a coat of arms in a white cloth. 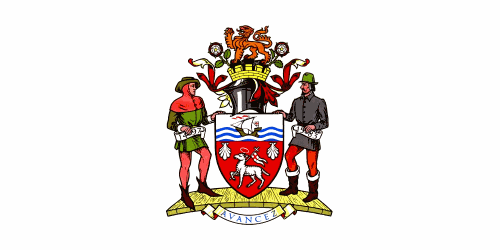 The coat of arms dates from the 1960s. The Agnus Dei (lamb of God) and the shells refer to John the Baptist, that gives the city its name. The ship refer to the early finding of the region by John Cabot. The crest is too generic. 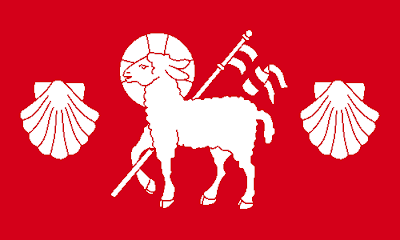 The flag is made only of red and white cloth, notice the St. George's cross carried by the lamb. I could add a symbol related to Cabot, but since he's also named John, the lamb and the shells are also canting (punning). I could remove the shells, but it would make the flag too generic, in my opinion. 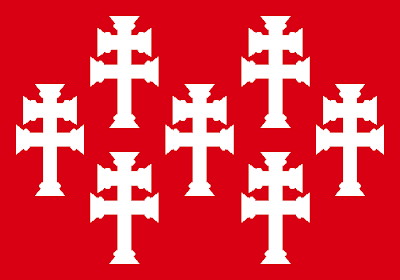 Do you have any suggestions of other boring flags that deserve to be fixed? 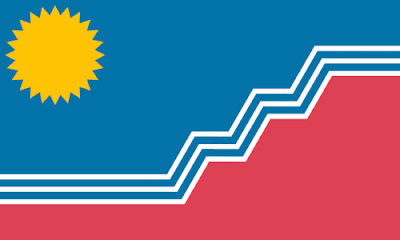 This week, I was reviewing some old, unpublished stuff, and I found this design for a flag for Sioux Falls, the largest city of South Dakota. 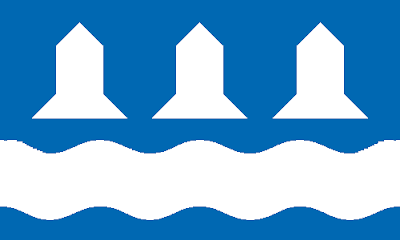 Last year, there was an unofficial contest for choosing city's flag and I made, but didn't submit, a design. The winner designer, designed by Max Rabkin, is below. You can find this and the other five finalist here. The zig-zag like are for the waterfalls, that give the city its name. The pink area represents the buildings made of "Sioux quartzite", a local stone with that characteristic color. The sun represents South Dakota's nickname "Sunshine State". The superior vertical in blue and white represents the falls, while the inferior vertical in pink and white represents the Sioux quartzite. I'm not sure that my design is best than the winner one, but I still think it would fly nicely in a pole. A question: of the six finalists, which was your favorite, and why? 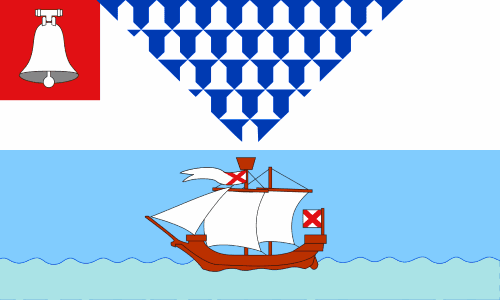 Today, I'll try to fix the flag of Belfast, the capital and largest city of Northern Ireland. 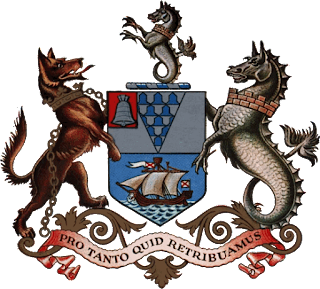 The coat of arms is not the best heraldry, not it's not horrendous, either. The bell seems to be canting (i.e. punning) with city's name. The vair is taken from Chichester's family heraldry, being Arthur Chichester the founder of the town. The ship may refer to the importance of shipbuilding or the etymology of the city (from Gaelic, "mouth of the sandbar") and is decorated with St. Patrick's cross. 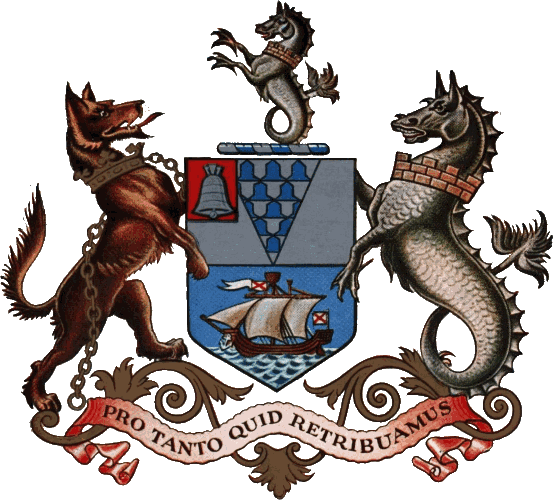 Let me explain it...The river refers to city etymology, and its importance as a portuary and shipbuilding city.Besides remarking Chichester's heraldry, the individual parts of a vair are known as "vair bells", thus keeping the pun. With some luck, they can barely remember a sail. Sorry for being REALLY late... It seems like a (negative) record. Misiones Orientales (from Spanish, "Eastern Missions") or Sete Povos das Missões (from Portuguese, "Seven People from Missions") refer to an area in current Brazilian state Rio Grande do Sul that changed hands many times between Portuguese and Spanish empires, often exchanged by Colónia del Sacramento. 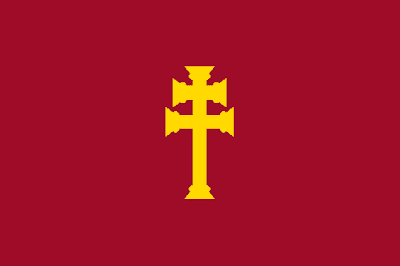 De facto, though, it was almost-independently ruled by the Society of Jesus until the religious order was expelled from Portuguese Empire, in the 1750s. 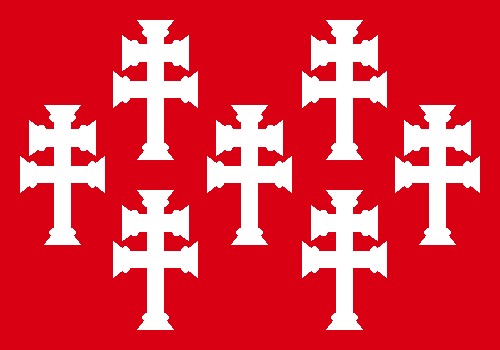 This type of cross is, in Brazil, related to the Missões; it seems to be based in the Caravaca cross. The red colors represents the stone bricks used in the historical buildings and the blood shed in Guaraní War. 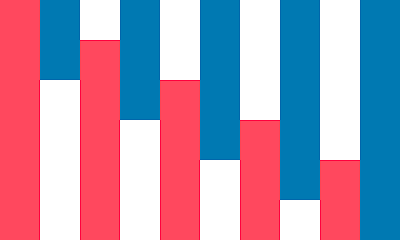 This flag could be used in related museums, archeological sites, etc. This blog only has reached 50,000 views! Ooo-hoo!